I'm trying to open the example project from amalthea. Is there anyone can teach me how to execute the project? 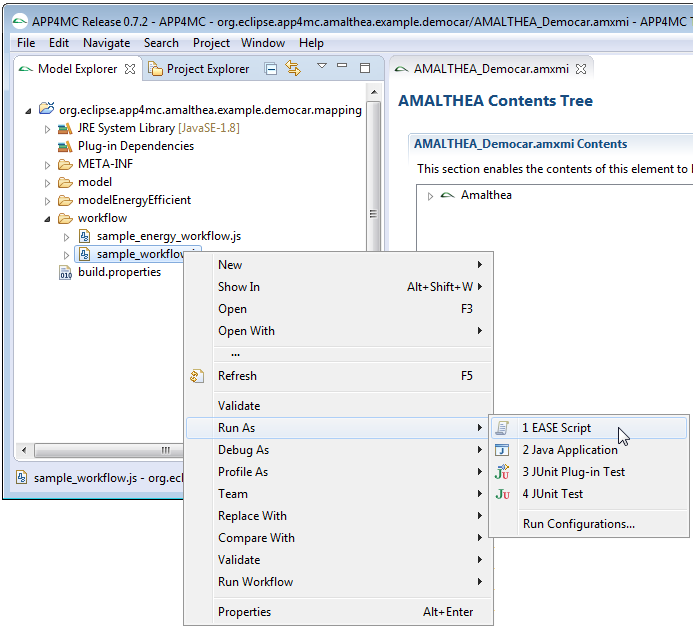 AMALTHEA models describe the (runtime) characteristics of an embedded software system. You can either open a model file in the standard editor or start a workflow (e.g. 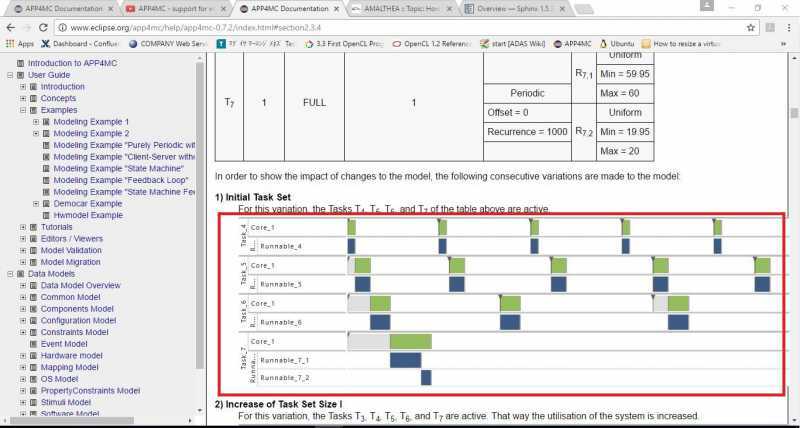 in the Democar or workflow example). I open the sample project(democar) and click Run Flow but I don't see work flow type name in dialog windows (see attached file). I want to run the simulation to see the output. Please teach me how to run it. you tried to start the Sphinx workflows. The menu entry is visible because our model is based on Sphinx but we do not provide Sphinx workflows. Remark: It is not a simulation ! OK I got it. Thank you very much. One more question how to run this example model ( Modeling Example "Client-Server without Reply") to see the output (please attached screenshot with highlighted in red). 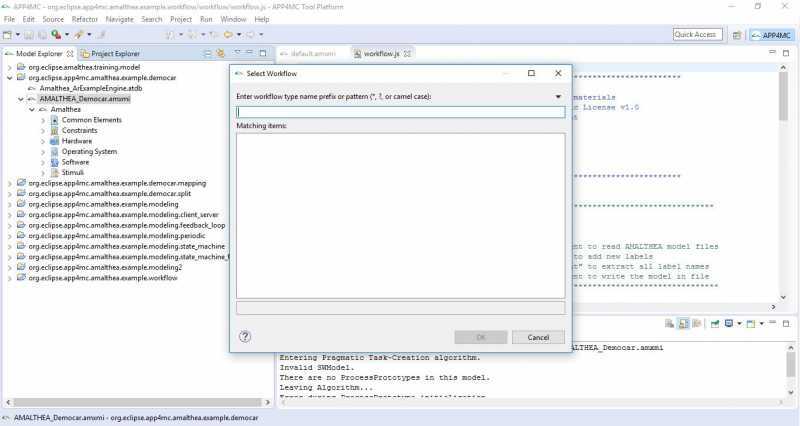 Is it an output from eclipse after running the example? What should I click from project explorer to run it? the purpose of the screenshot is to explain the example. It was created after the simulation with a commercial tool. Currently there is no possibility to create a similar view with our open source tools. We will clarify this in the help. Last Edit: 1 year 11 months ago by krawczyk.